Let us understand what natural refers to. Ideally, natural products are made from pure and undiluted plant derivatives and contain literally zero additives like mercury, alcohol, DEA, nitrosamines, alcohol, isopropyl and polyethylene glycol, and preservatives. It is important to realize that there is no regulation on the labelling of ‘natural’ products. A company can tag its product as natural as long as a single ingredient has been derived “naturally” or in other words, a natural source, but what about the amount of processing that happens in between? In the instance of being ‘naturally-derived’, it does not necessarily translate to a safe product. For example, cocoamide DEA is said to be derived from coconut oil. But the chemical processing that takes coconut oil to cocoamide DEA alters it so much that there is nothing natural about cocoamide DEA. In fact, to create cocamide DEA, a foaming agent in some shampoos, requires the addition of a synthetic chemical and known carcinogen, Diethanolamine – DEA, to the coconut oil. The same can be said about petrolatum, which comes from crude oil, and is considered naturally derived because it was taken from the ground. According to this article by Money Talks News, synthetic ingredients are acquired from many sources and all start off as natural, since we take them from the environment. The Natural Seal, certified by the National Products Association dictates that natural products are those that are expected to contain at least 95% biological ingredients and are free of parabens, sulfates, synthetic preservatives and artificial chemicals that pose potential risks to the body. It is important to note that they need not necessarily use organic materials; just natural ingredients. Organic is taking ‘natural’ up another notch. Organic products are, again ideally, manufactured organically from plants of organic sources, from ingredients that do not have any synthetic relation or affiliation with any genetically modified organisms. Where biodynamic products are concerned, its ingredients are cultivated using the biodynamic approach, which includes an emphasis on integrating farm animals, the cultivation of crops, and the care of the land; the use of fermented herbal and mineral preparations as compost additives and field sprays; an emphasis from its beginnings on local production and distribution systems using local breeds and varieties; and the use of an astronomical sowing and planting calendar..
Not all certification standards are created equal; certifiers from some countries use less stringent definitions of ‘organic’, so it is best to get yourself acquainted with the various certifying agents, and how they work. For a thorough list of international certifications, please see here. 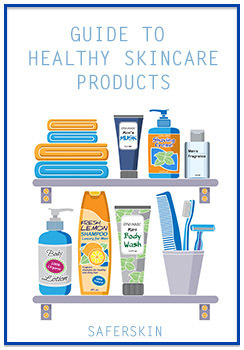 When you are shopping for safer skincare products or cosmetics, whether you wish to go for natural, wildcrafted or organic is ultimately up to you, even though organic is generally seen as more likely to be purer and thus safer for your skin. But whichever choice you make, ensure you are not fooled by bogus claims and flowery scents. For products claiming to be ‘Organic’ or ‘Biodynamic’, the safest thing to do is to buy them only if certified. There is no point in giving the products the benefit of the doubt, in case they do not have the necessary certifications. For a ‘natural’ product, always check the ingredients list before making your way to the cashier, and make sure that harmful chemicals are not part of the deal. As a rule of the thumb, divide the ingredients list into three parts: the top third usually contains 90-95% of the product; the middle third usually contains 5-8% and the bottom third, 1-3%. This way you can judge for yourself the harmful potential of your personal care or cosmetic products. It is always better to be safe than sorry. So don’t venture out to buy a product unless you are completely sure of its safety. If you are not convinced, my recommendation would be to move on to the next store.